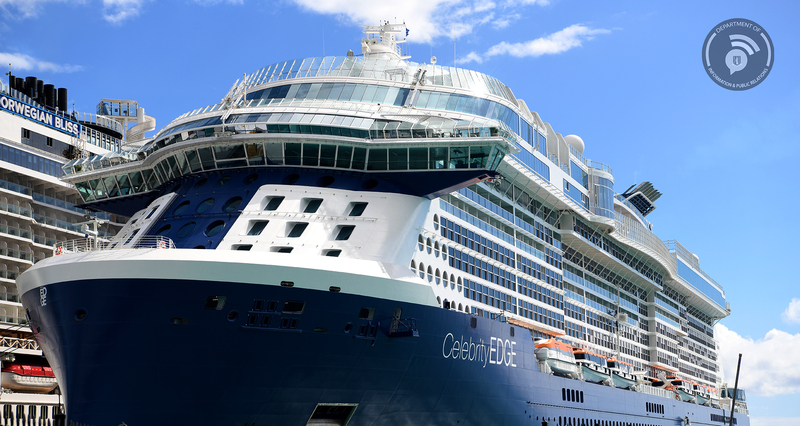 Minister for Communications and Works, Honourable Mark Vanterpool warmly welcomed the Captain and crew of the Celebrity Edge during its inaugural visit to the Virgin Islands today, December 19. 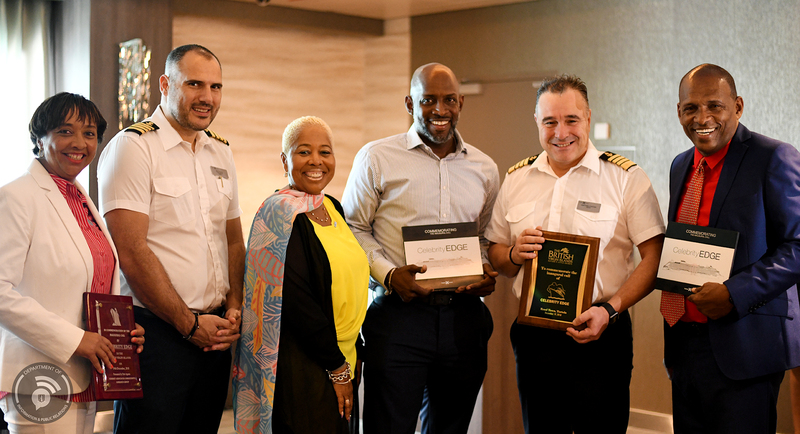 In commemoration of the visit, Minister Vanterpool on behalf of the Premier and Minister of Finance, Dr. the Honourable D. Orlando Smith, OBE presented and exchanged plaques with the ship’s captain on board the vessel. Exchanges were also made between the Captain and the BVI Tourist Board, and between the Captain and the Port Agent, Romney Associates. The local delegation was then given a tour of the facility. In attendance were the Director of the BVI Tourist Board, Mrs. Sharon Flax-Brutus; Film Commissioner, Mr. Clive McCoy; Director of the Department of Trade Investment Promotion and Consumer Affairs, Mrs. Karia Christopher and representatives from the BVI Ports Authority, Tortola Pier Park, Romney Associates and other key officials.